One of the World's Most Popular Social Networking Platform " Twitter " was down for some minute across the Globe Today. One of my Twitter Influencer Friend reported this issue to me at 19:30. 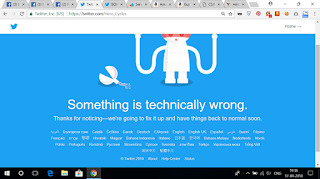 I immediately checked my twitter handle and found that the my profile was not opening, and twitter error web page displayed this warning " Something is technically Wrong" . I check the twitter android app and found that everything is working fine there. This outage problem was also reported by user from various countries on the down detector website. 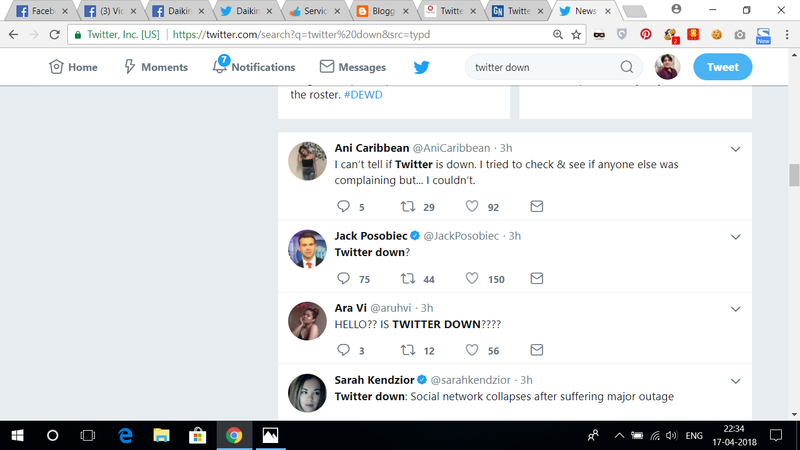 According to the website, which tracks internet outages, service disruption is not letting users tweet or in some cases, log in to their Twitter accounts. This outage problem last for few minutes and I saw users from many countries including India, US, UK, Europe started tweeting about this outage problem when the website started working again. There is no official statement on this problem is released by Twitter so far on its Twitter's blog or social media account. 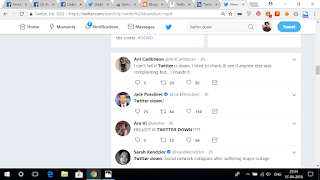 This is the second time in April 2018 that Twitter is facing an outage issue. The last time The micro blogging website was down on April 6th. If you faced the same issue today, Don't forget to share your experience in the Comment Section Below.